If you are looking for a great way to spend quality time with your mother for Mother's Day, consider taking mom for a walk through one of our great National Public Gardens. Tomorrow, many of them are offering free admission! May 6, 2011, is National Public Gardens Day - a national day of celebration to raise awareness of America’s public gardens and their important role in promoting environmental stewardship and awareness, plant and water conservation, and education in communities nationwide. Free admission to many participating gardens (including the Lewis Ginter Botanical Garden, the Norfolk Botanical Garden, and the Smithsonia Gardens) is available through an offer at Better Homes and Gardens. The National Public Gardens Day website lists these things that you can learn from public gardens. Water Conservation – Public gardens utilize efficient watering practices and have industry insight on responsible irrigation systems. Homeowners can learn how to irrigate their own gardens by exploring and consulting with their local public garden. Native and Adaptable Plants – Choosing native plants or plants that have adapted to a local environment can ensure a garden will be healthy and require less water. Public gardens have huge collections of native and adaptable plants that homeowners can be assured will work in their own gardens. Landscape Design – Homeowners can find sources of inspiration in botanic gardens from the design of gardens, the types of plants used in particular environments, the selection of plants that do well in particular geographical locations, and the way gardens are displayed, coordinated, and arranged. Landscaping at public gardens can demonstrate what plants bloom at similar times, what arrangements look well together, and how gardens can be beautifully displayed. Geographical Considerations – Different plants are healthier in different geographical regions and it is difficult to know before purchasing at a nursery, what plants will do well in a homeowner’s garden. Public gardens put on display a broad selection of plants that succeed in a homeowner’s region. Knowing that a plant, tree, or flower grows well in a public garden can assist consumers on knowing what will grow well in their own gardens. Seasonal Considerations – Public gardens have a selection of plants that are perfect for a variety of seasons. Many plants can still thrive in colder and drier seasons. Additionally, blooms can happen year round if the appropriate types of plants or trees are selected. Keeping a homeowner’s garden beautiful all year can be accomplished by seeing how public gardens arrange their own collection. Gardening Methods – Public gardens have staff dedicated to botany and are also home to specialists that understand a particular geographical region very well. Homeowners can access these industry experts at their local public garden and receive advise on gardening techniques for plants they have in their own gardens. Publications – Public gardens have publications available to visitors and members that provide ample resources on gardening and botany. The average consumer can find a wealth of knowledge in member publications and, in addition, often have access to libraries and bookstores within the public gardens as well. Plants and Supplies – Public gardens will often sell plants, flowers and trees to garden members during annual festivals, providing top quality additions to homeowner’s gardens. With the sale comes professional experience and advice of the sort that cannot be found in nurseries or hardware stores. There are many great public gardens in the Washington DC area, including the U.S. Botanic Garden, the U.S. National Arboretum and the Smithsonian's National Zoological Park. 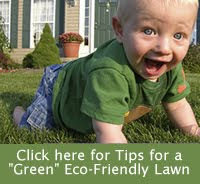 You can find others from the American Public Gardens Association website.